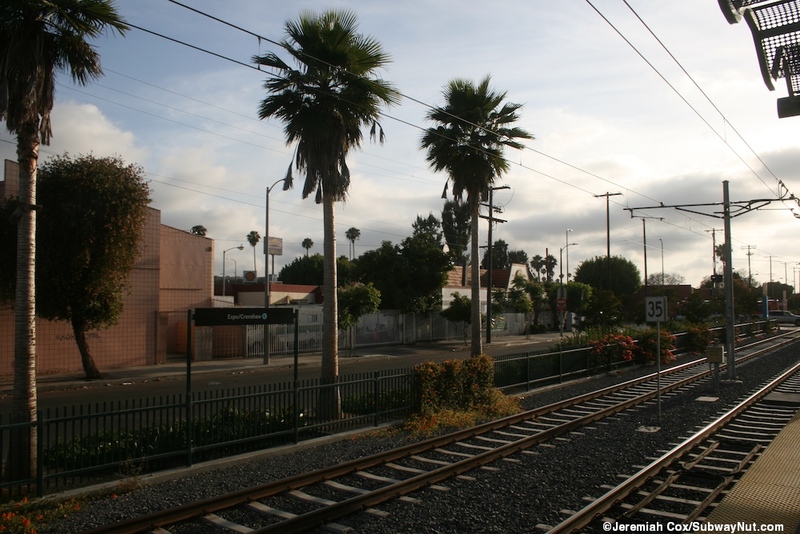 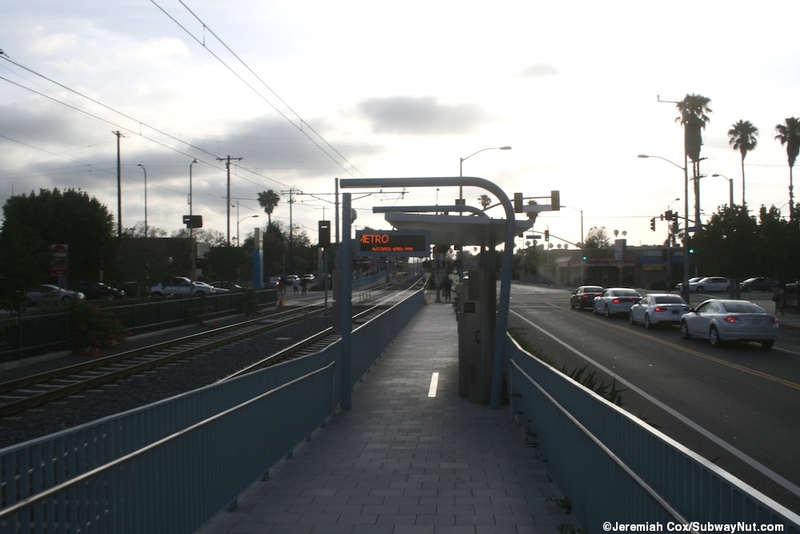 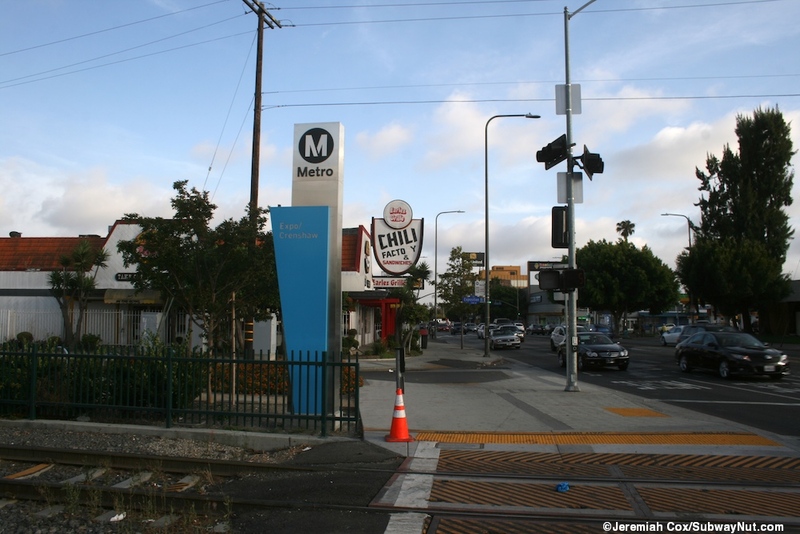 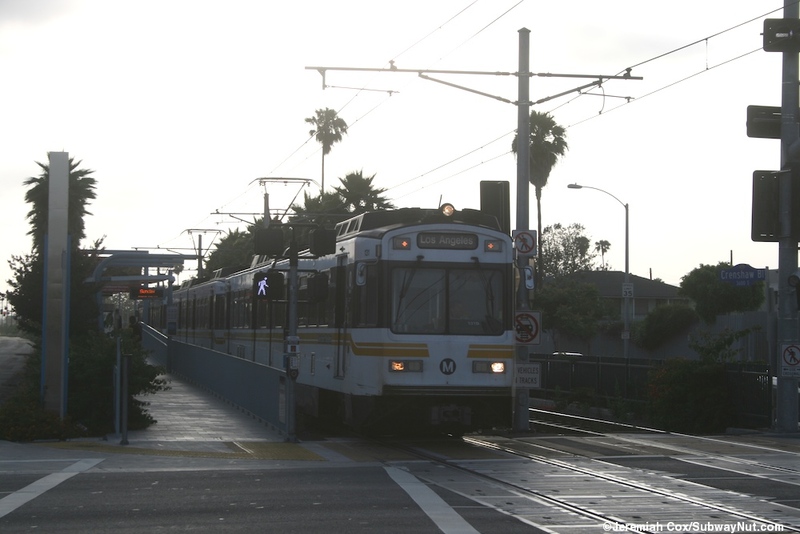 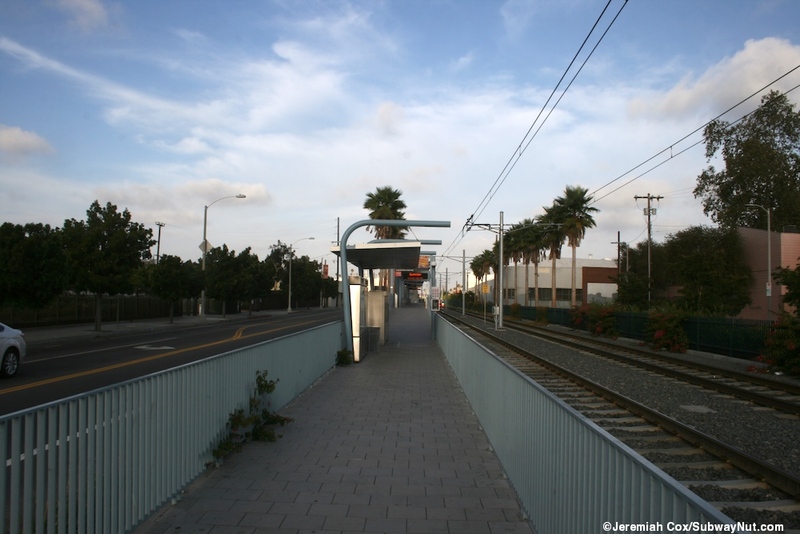 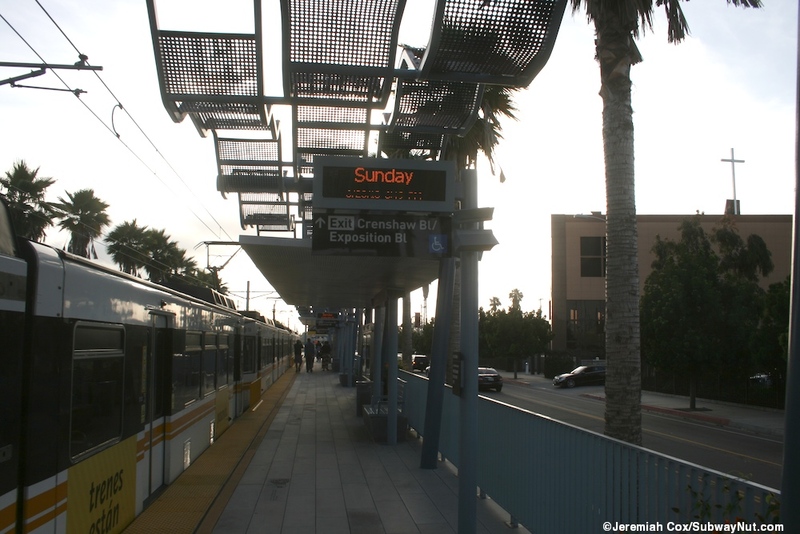 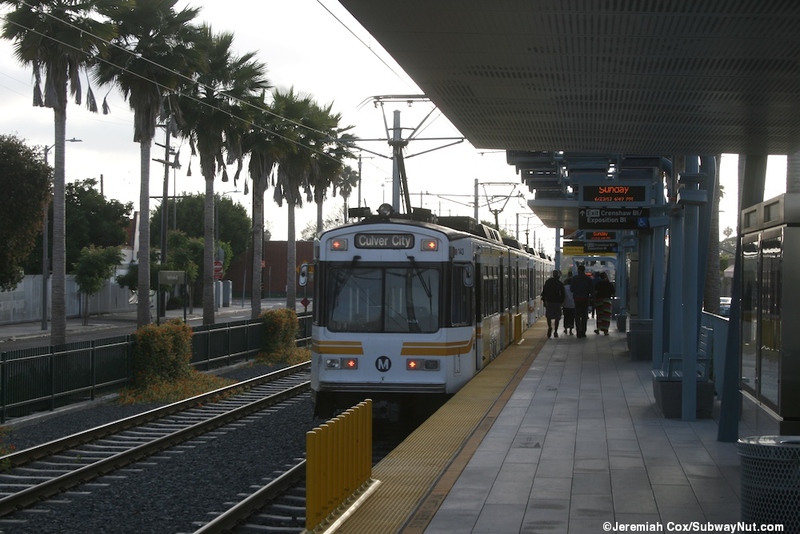 Expo/Crenshaw is a standard Expo Line station in the median of Exposition Blvd with two fully offset side platforms for the two track line with the intersection of Crenshaw Blvd in between them. 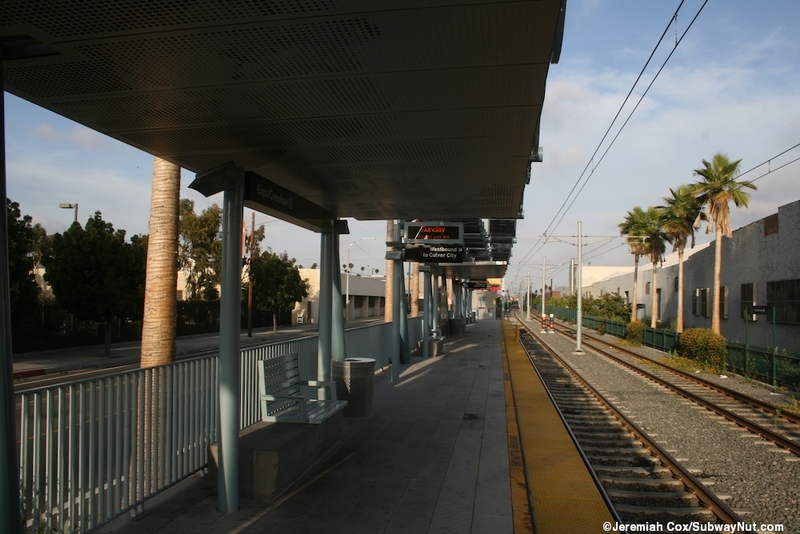 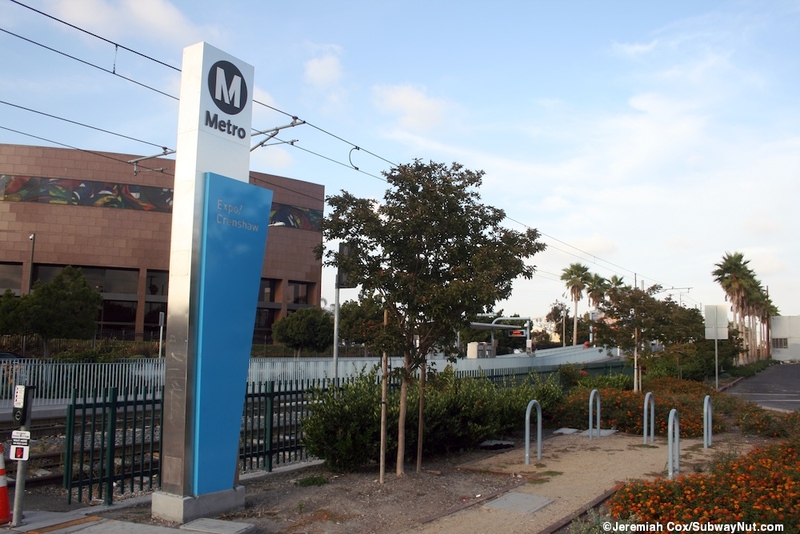 In both directions trains stop at the nearside of the intersection so the Culver City-bound platform is on the east side and the Downtown Los Angeles-bound platform is on the west side. 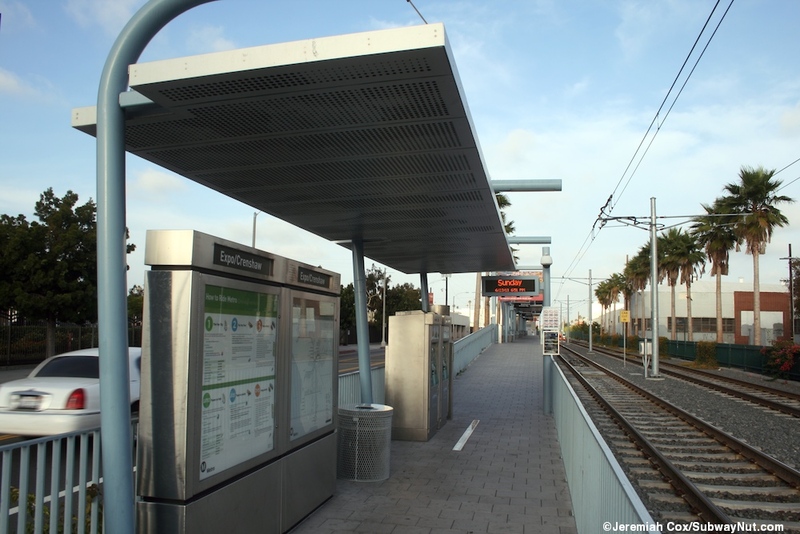 Both platforms have only one legal entrance where a pathway from the intersection crosswalk leads to a bit of a path and then canopied TVMs before a ramp up to TAP readers at the front end of the platform where the POP Fare Paid Zone begins. 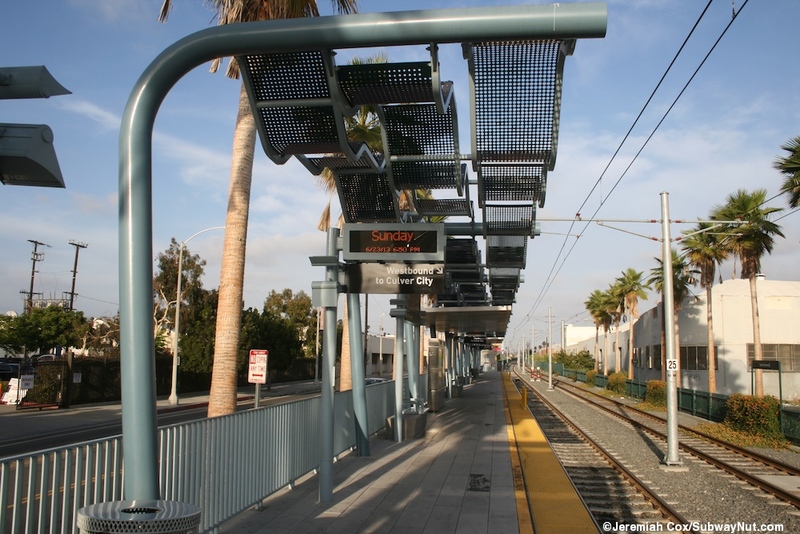 The opposite (back) ends of each platform has an emergency exit gate and staircase down to street level that should have been turned into a secondary, TAP card already required entrance. 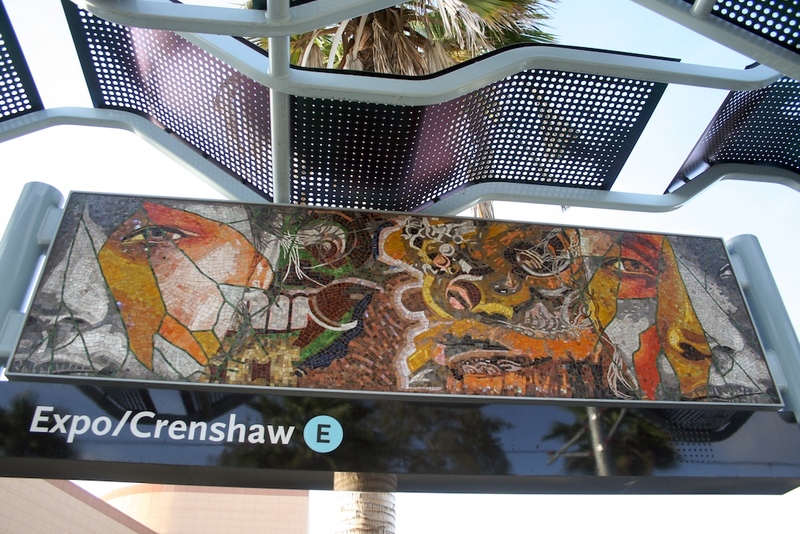 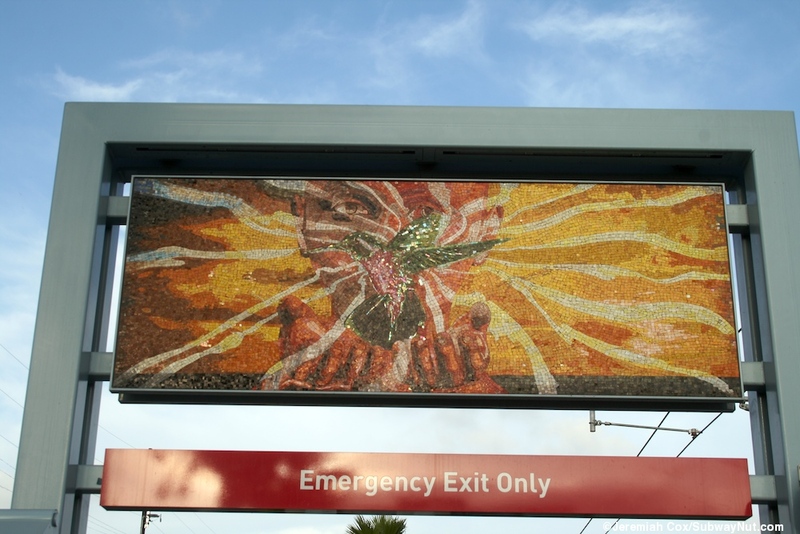 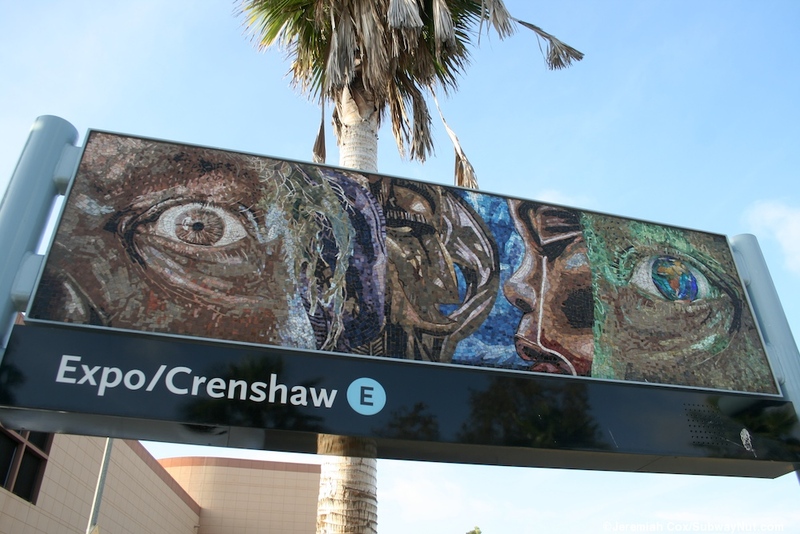 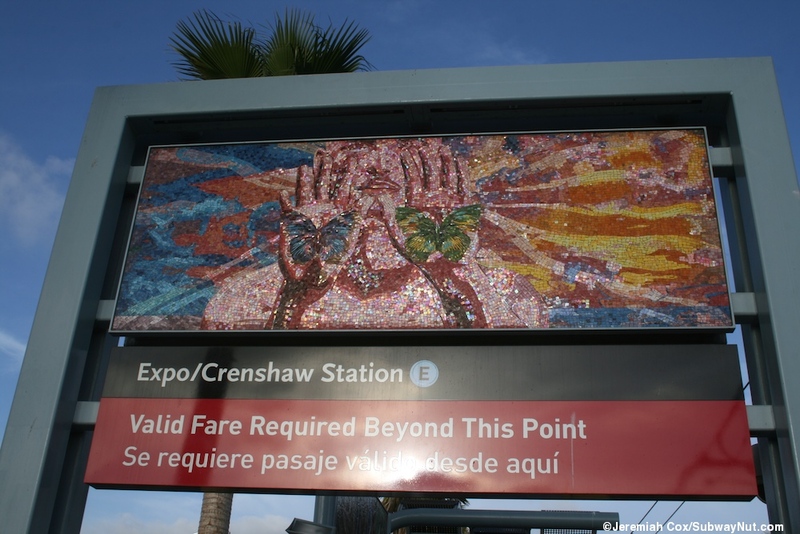 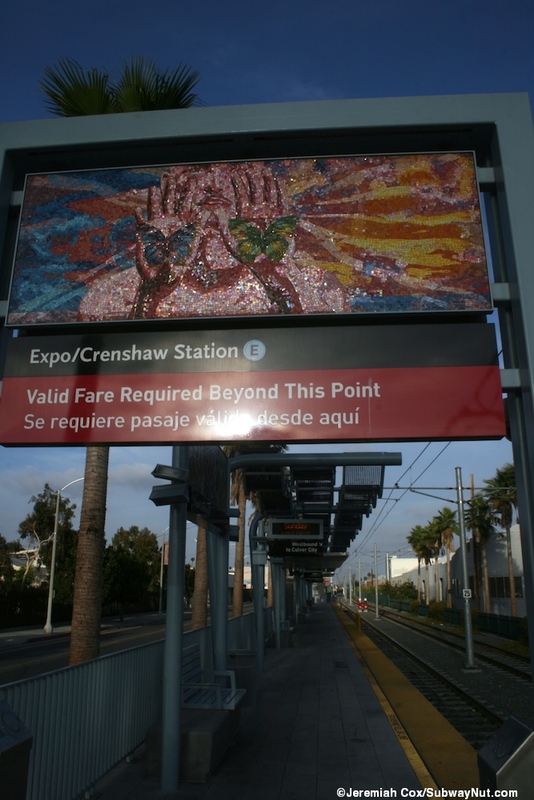 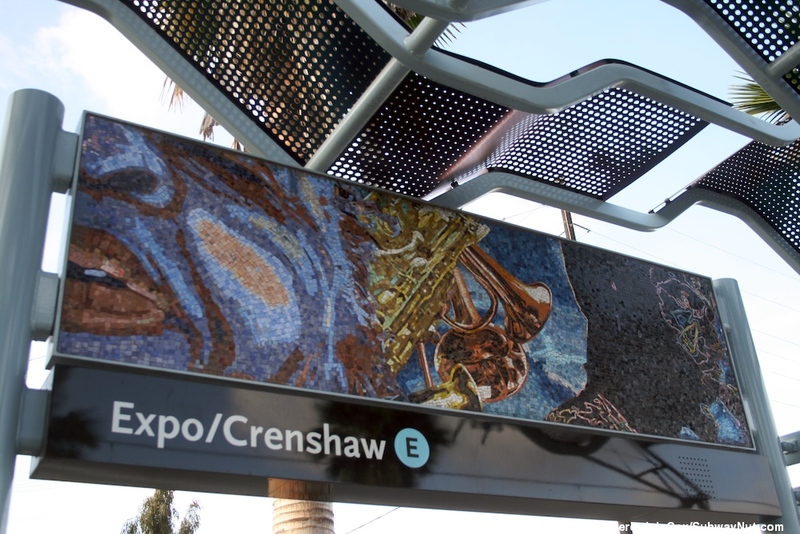 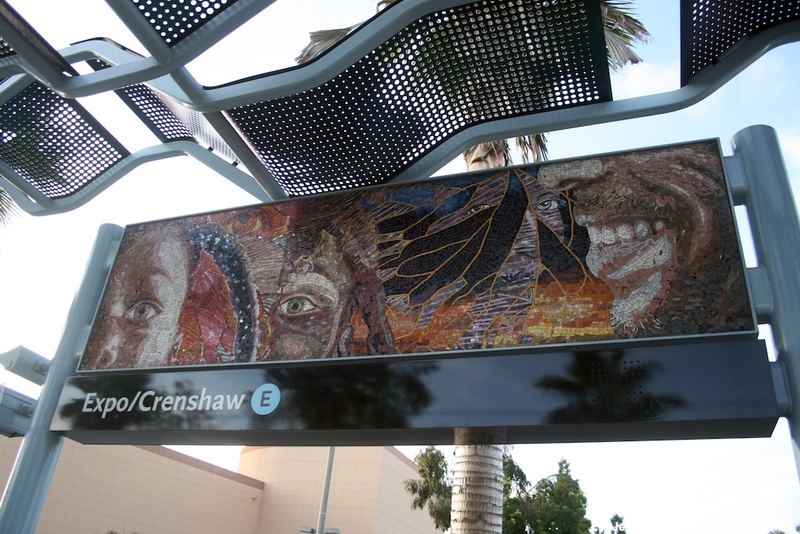 Artwork along the platforms (that have the usual Expo Line aqua-blue steel and silver canopies) are mosaic panels that make up Wanderers, 2012 by Willie Middlebrook. 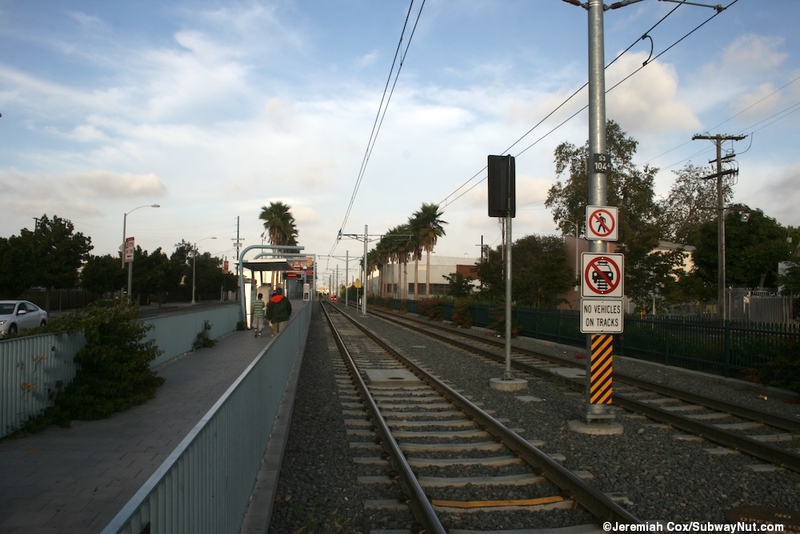 The stop (although clearly not designed for high-capacity crowds) should one day become an important transfer point for the Crenshaw/LAX Light Rail Line that will begin here as the northern terminus and run south along Exposition Blvd through LAX Airport and continue south along the Green Line beyond Aviation/Imperial. 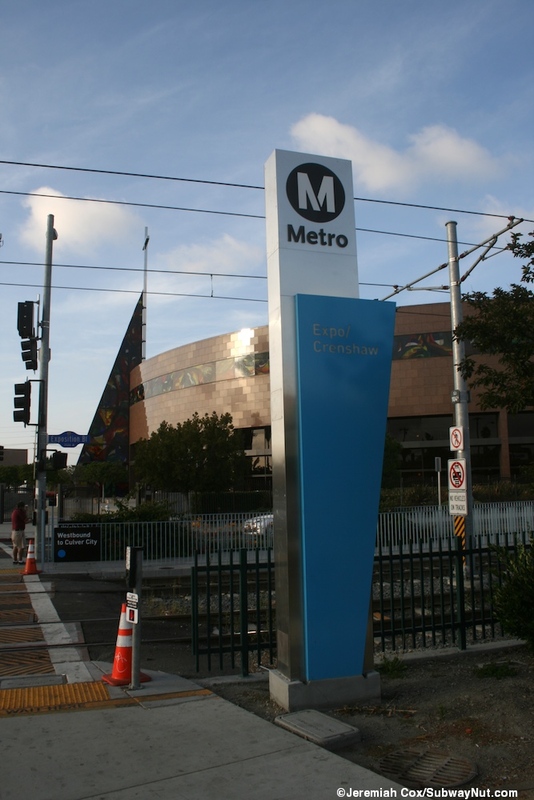 It is currently in final design/pre-construction with utility work already underway and is scheduled for completion in late 2019.